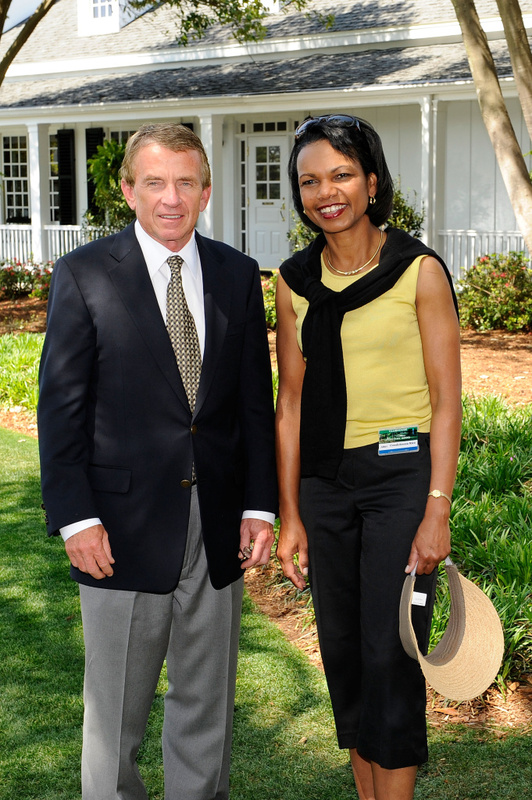 PGA TOUR Commissioner Tim Finchem stands with Condoleezza Rice outside the clubhouse during the first round of the 2009 Masters Tournament at Augusta National Golf Club on April 9, 2009 in Augusta, Georgia. After more than three quarters of a century, women will for the first time be included on the membership rolls of Augusta National Golf Club, one of the most exclusive clubs in the world and the host of the Masters. Former National Security Advisor Condoleezza Rice and executive Darla Moore were the first two women chosen to be allowed to play at the course. Throughout its history, Augusta has been under fire for its less-than-widely-inclusive membership practices; Augusta had refused to include black members until 1991. The issue of gender discrimination at Augusta came to a head after the Club did not allow female IBM CEO Ginni Rometty to join them earlier this year, despite IBM’s membership with Augusta. But the admittance of women into Augusta is much bigger than just a round of golf — frankly, it was never just about golf. “This is about business, old boys’ clubs at the very highest levels of corporate America and keeping women out,” said Katherine Spillar, executive vice president of the Feminist Majority Foundation and the executive editor of Ms. Magazine. 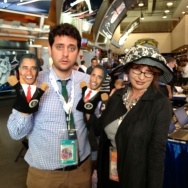 Spillar went on to explain that Augusta is about access and networking — it’s about being on the field with some of the most powerful men from the U.S. and around the world. As of today, Rice and Moore will now be able to don the iconic green jackets and break into the boys’ club so many others have been barred from entering. How do you feel about Augusta allowing women as members? Why do you think they decided to allow women now and not before?